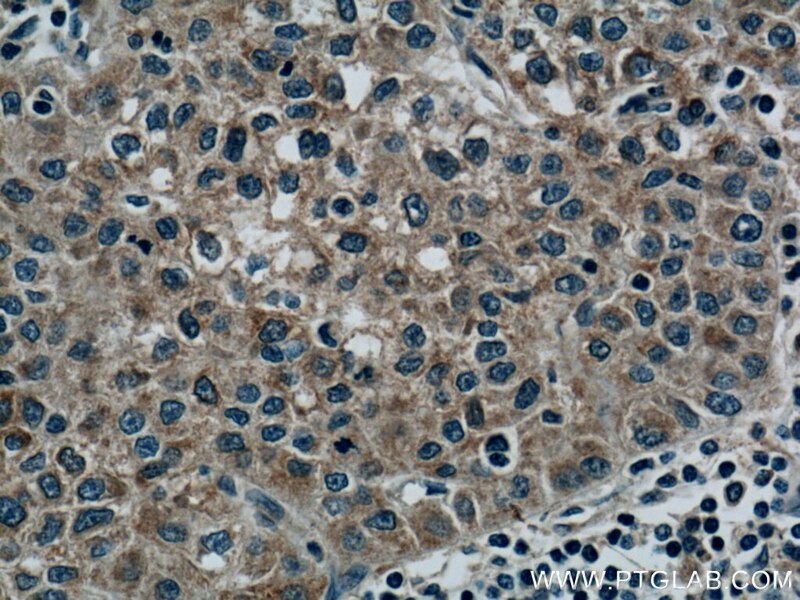 Immunohistochemical analysis of paraffin-embedded human liver cancer tissue slide using 66339-1-Ig( RAB5A Antibody) at dilution of 1:200 (under 10x lens). heat mediated antigen retrieved with Tris-EDTA buffer(pH9). 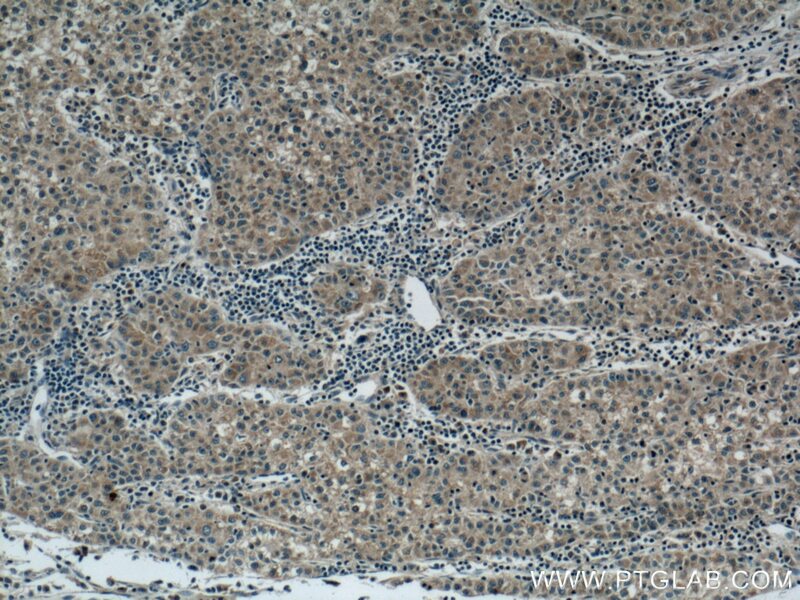 Immunohistochemical analysis of paraffin-embedded human liver cancer tissue slide using 66339-1-Ig( RAB5A Antibody) at dilution of 1:200 (under 40x lens). heat mediated antigen retrieved with Tris-EDTA buffer(pH9). Rab5a belongs to the Rab GTPases family proteins, which play roles in endocytosis, exocytosis, and vesicular transportation. 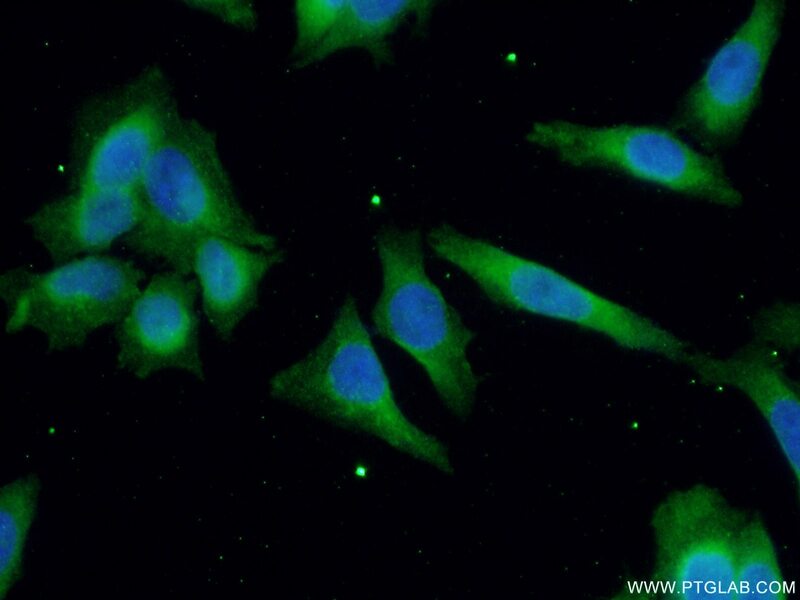 Rab family proteins were recently reported to play important roles in human cancer progression. Rab5a was reported to be overexpressed in breast and ovarian cancers and associated with proliferation and invasion. 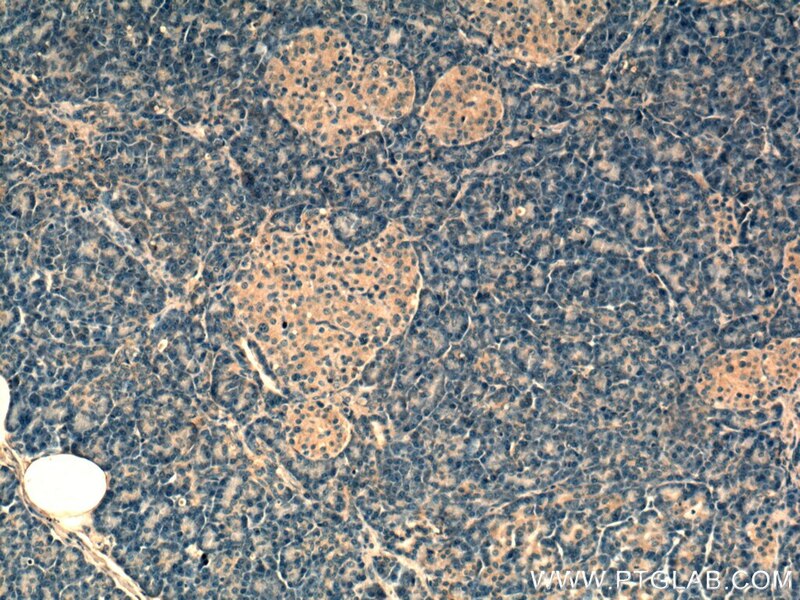 Immunohistochemical analysis of paraffin-embedded human pancreas tissue slide using 66339-1-Ig( RAB5A Antibody) at dilution of 1:200 (under 10x lens). 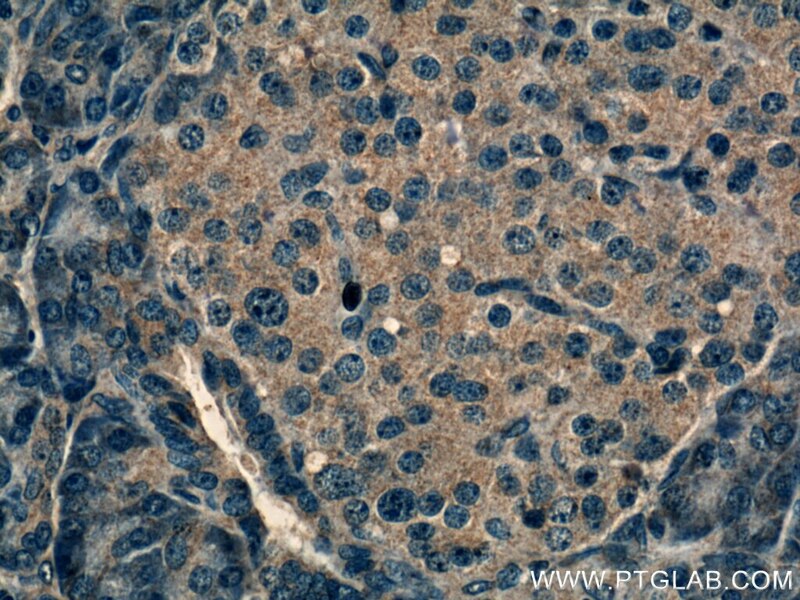 Immunohistochemical analysis of paraffin-embedded human pancreas tissue slide using 66339-1-Ig( RAB5A Antibody) at dilution of 1:200 (under 40x lens).